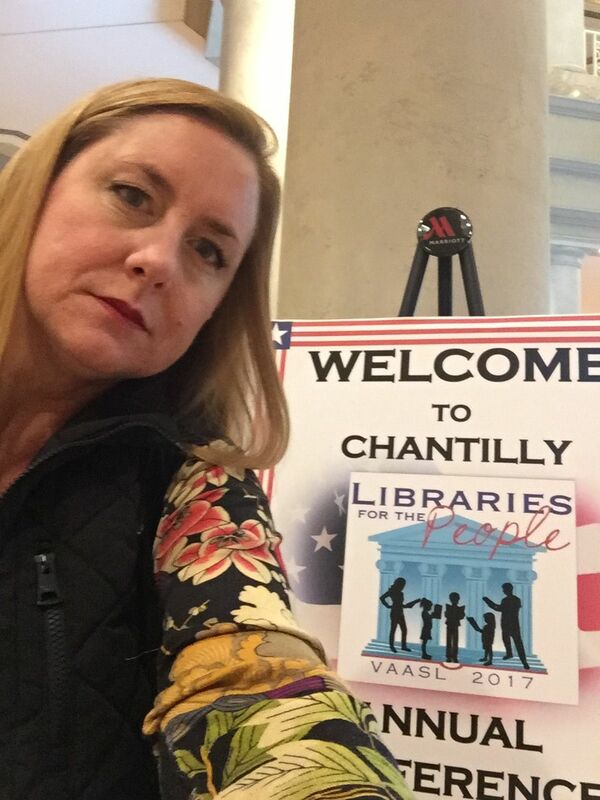 On Nov 2, 3, and 4, I attended the VAASL Library Conference, Libraries for the People” in Chantilly, Virginia. This was my first library conference. I attended many sessions throughout the conference with my colleagues of the program. Thursday evening many of us attended the alumni event in the Washingtonian Room for the Longwood Alumni and Student Event. Our Professors created a Kahoot full of trivia questions and they offered many prizes if they were answered correctly and if you were able to get through first. 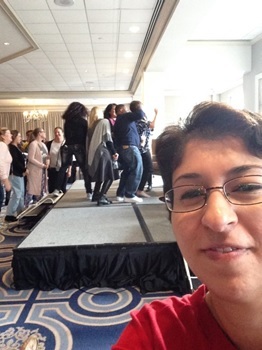 I enjoyed this learning experience and conference — Debra Laird. My name is Rebecca Kronthal and I am currently a graduate student in Longwood’s 3rd Prince William Cohort for School Librarianship. 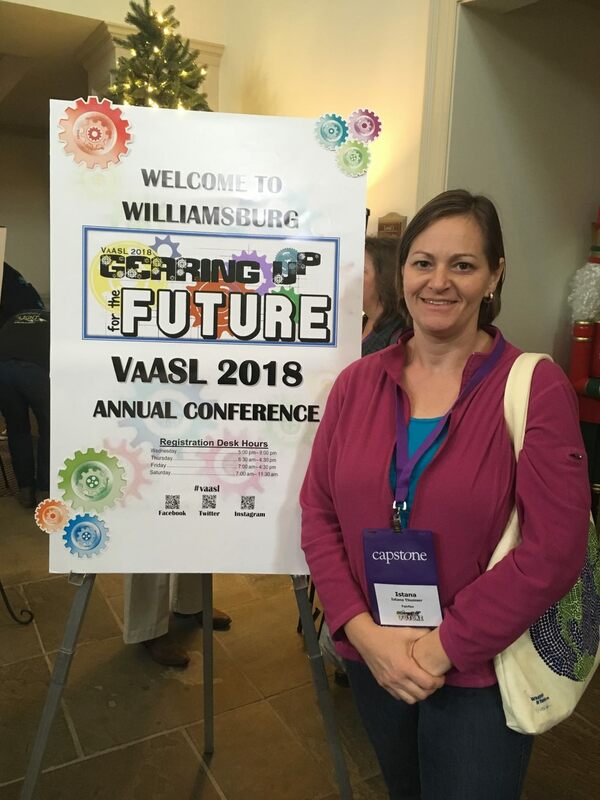 I was thrilled to be able to attend the 2017 conference for the Virginia Association of School Librarians from Thursday, Nov. 2nd until Saturday, Nov. 4th in Chantilly, Virginia. 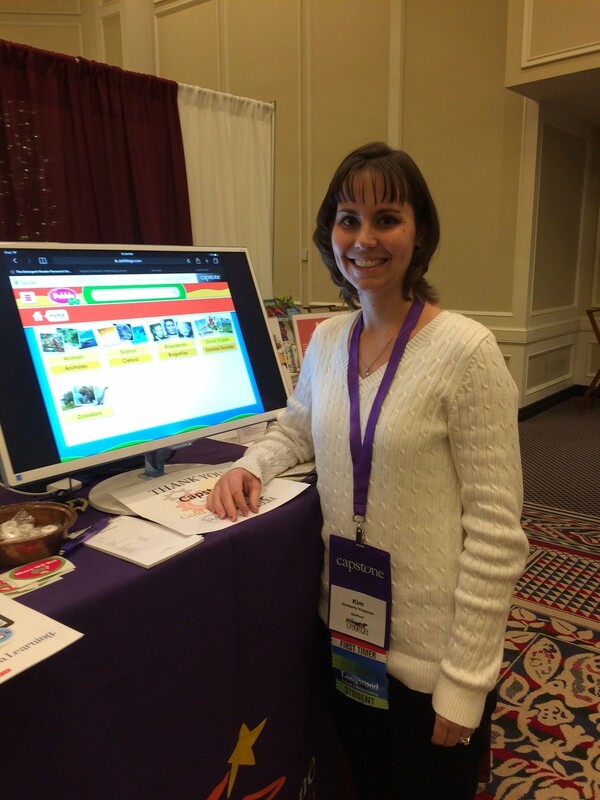 I attended sessions on many topics and trends in the field of School Librarianship. I enjoyed sessions reviewing “What’s New” in Children’s literature for 2017 as well as many “How to’s” on topics such as Makerspaces, book clubs, selecting authentic diverse books, author visits, lego stations, fostering a love of reading in a school culture, and judging “Fake News.” The highlights of the conference were the fantastic author visits and keynote speakers. 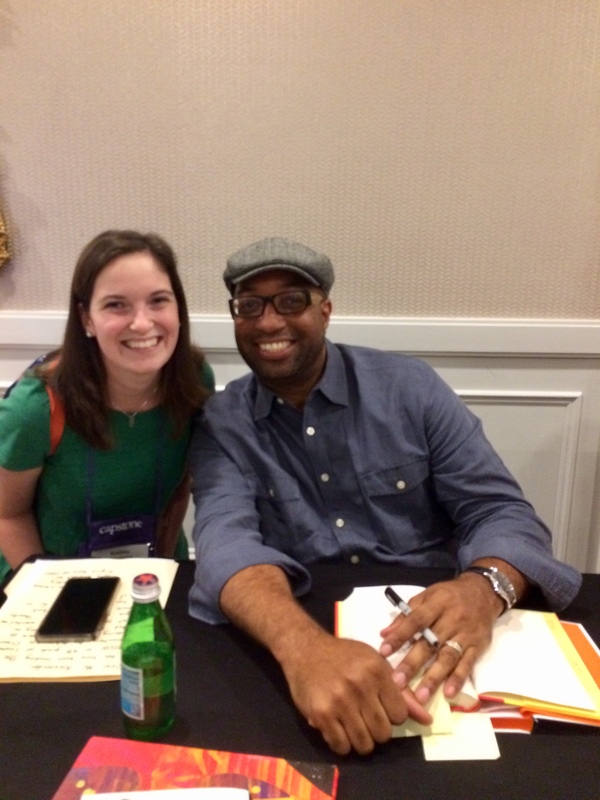 I was very excited to hear Newberry winner Kwame Alexander speak about his journey to become an award winning author. 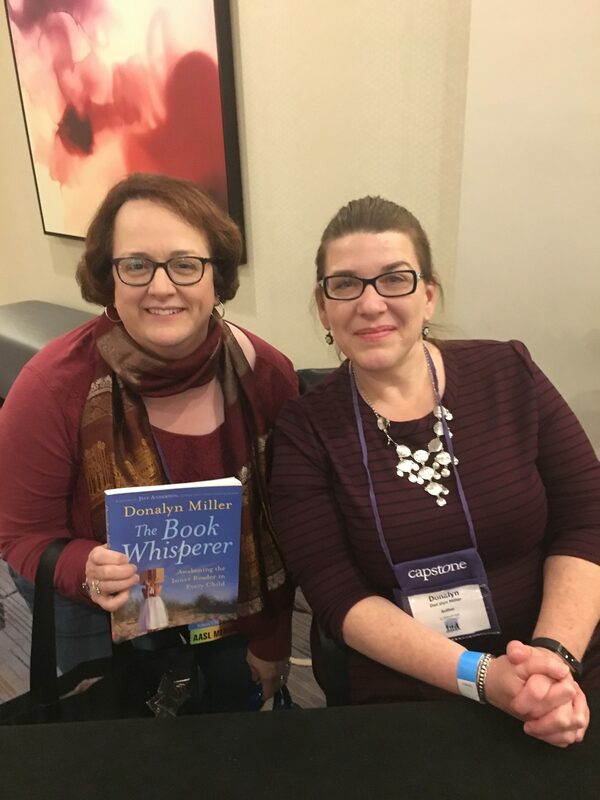 I also got to meet and talk with Donalyn Miller, author of the Book Whisperer. She inspires me to want to create a school full of life-long readers! 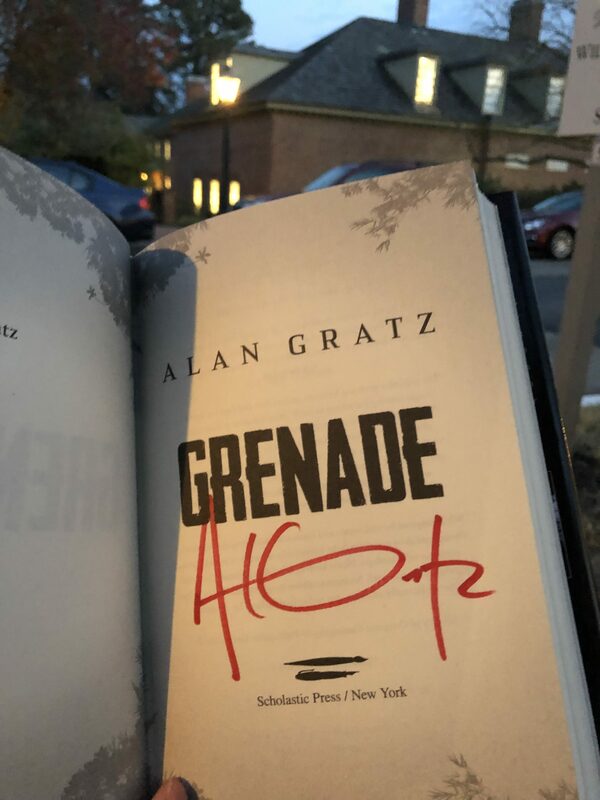 (See photo.) I enjoyed hearing Marc Nobleman speak about how his investigative research into the origins of Superman and Batman have changed history forever. They were all very uplifting and inspiring stories. Finally, I also got to network and meet many librarians from all over the state of Virginia and talk with them about their school libraries. This is the valuable advice that can’t be learned from a textbook. Hearing from librarians who are doing the job every day really gave me a lot to think about! 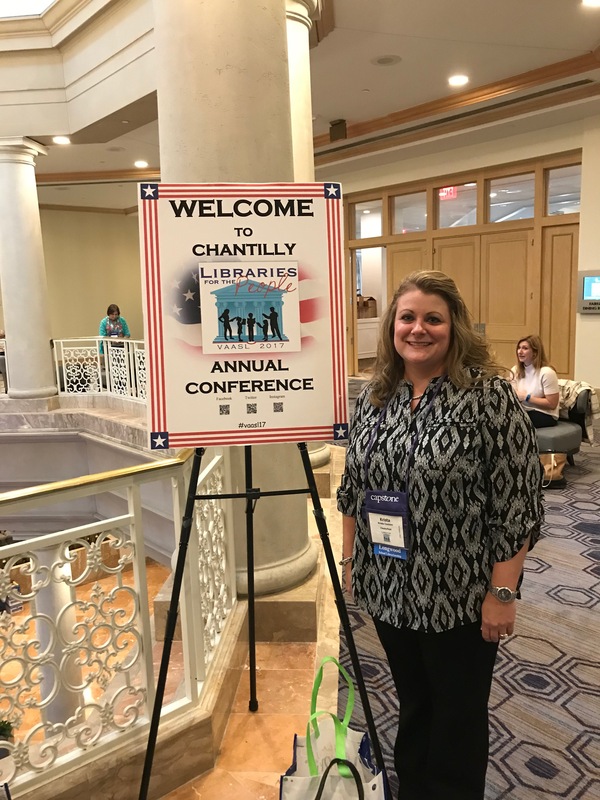 I also caught up with my fellow Longwood graduate students as well at a Longwood School Librarianship event on Thursday night at the conference. We played Longwood trivia games and learned a lot about our academic department and Longwood, while playing Kahoot! 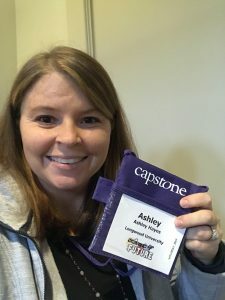 I am excited to try out a lot of the things that I have learned when I get back to my school, such as planning a lego station in my literacy centers and following Donalyn Miller’s advice to allow my students more choice when it comes to the books they read. I hope to do even more when I become a school librarian. 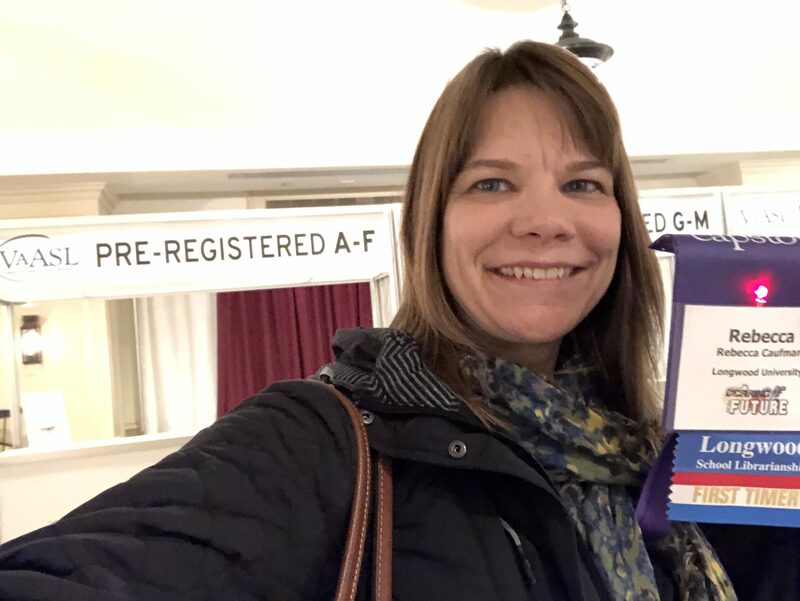 Thank you for the opportunity to attend this great conference! 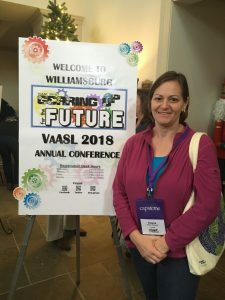 I am looking forward to the 2018 conference in Williamsburg! This was my first conference for school librarians. 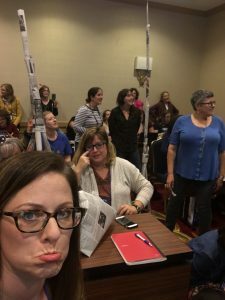 I attended two days worth of sessions and gained lots of great new ideas to use in the library. 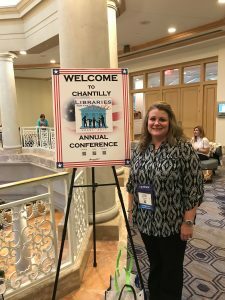 One session I attended was about different topics and trends for 2017 in the library. Some great ideas I am excited to learn more about are breakout boxes, teaching students about fake news, global goals, libraries as learning spaces, and using social media as an advocacy tool. Audrey Church was the session leader and she provided great example materials for us to get started. I was also able to attend two author sessions. The first was with Kwame Alexander (pictured with me). He talked about his love for poetry and how hard he worked to become a published author. His talk about visiting different schools and letting students see what poetry really is was very moving. The next author I was able to listen to was Ruta Sepetys. Her session was about why she writes historical fiction and why she focuses on specific topics. Her session was extremely powerful. 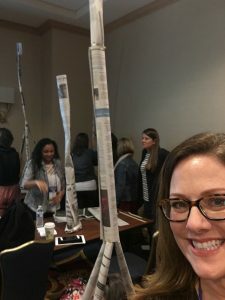 Another great session I attended was on makerspaces for the elementary library. The speaker told us how he was able to create his space and what are good things to add to a makerspace. He also brought some of his breakout boxes for us to try to open. I definitely came home with some amazing ideas on how to make the library new and exciting for students. 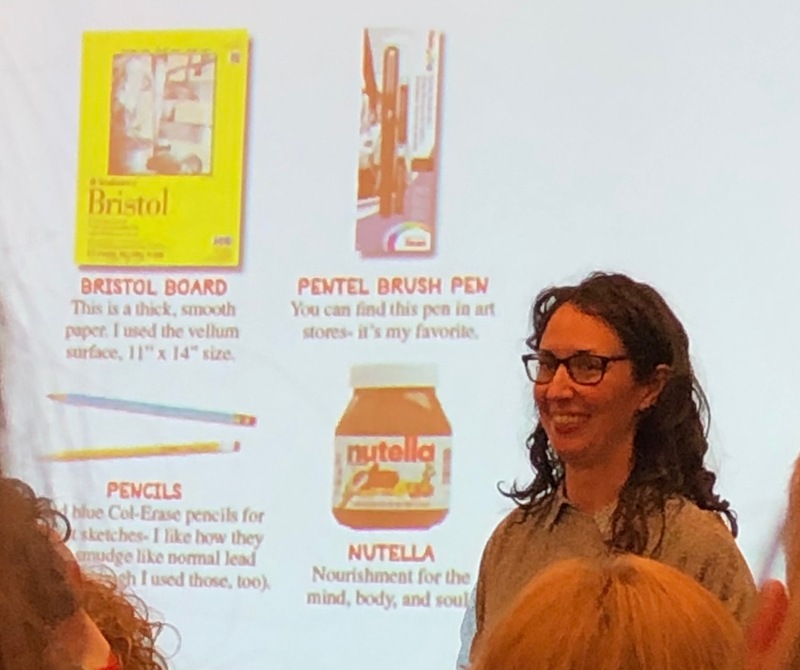 The sessions also gave me helpful ideas on new lessons. I cannot wait to attend next year!